This will be our first foray of the 2019 summer season and will include a picnic! This event replaces the MMS meeting that would normally be held on this day and is open to the public. If you are not a current member, you will need to sign a liability waiver before joining the hunt. Directions: The park is located 12 miles north of Stillwater, just north of the town of Marine on St. Croix. The park entrance is located right on State Highway 95. After turning onto the park road, the ranger station is immediately on your right. Meet at the picnic shelter overlooking Lake Alice. Forays are guided mushroom hunts followed by an identification session for all mushrooms collected. 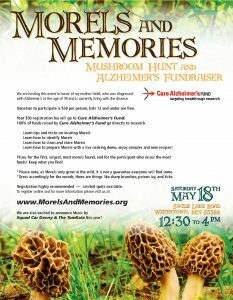 All forays are free events for MMS members. 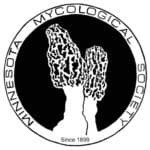 Members receive foray locations and details through the MMS Newsletter and MMS email.